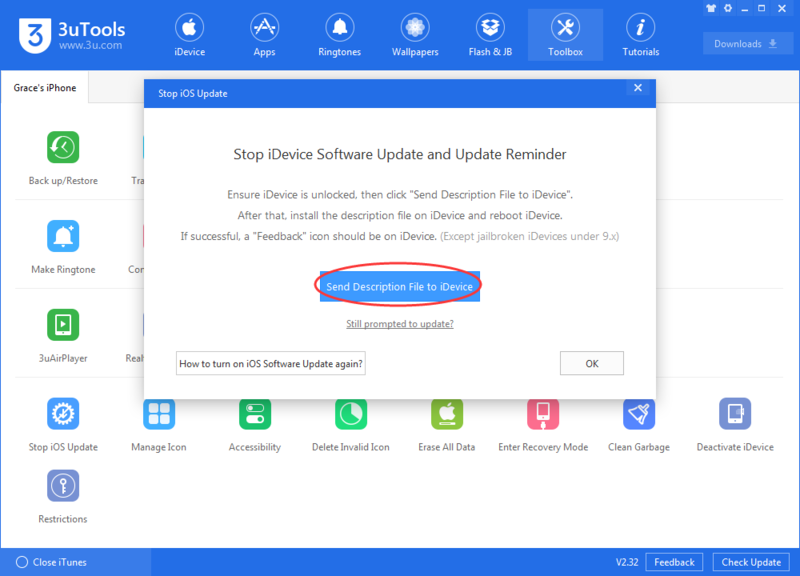 How to Turn Off iOS Software Update Notifications Reminders? Your iDevice won't detect the latest iOS update notification after you close iOS updates using 3uTools. If you're tired of iDevice's update notification, 3uTools will help you out. After you successfully installed the description file, iDevice’s system won’t detect iOS updates anymore, and it won’t download the firmware, either. Step 1: Download and install the latest 3uTools on PC. Connect iDevice to PC using the USB cable. Find and click “Stop iOS Update" after connection. 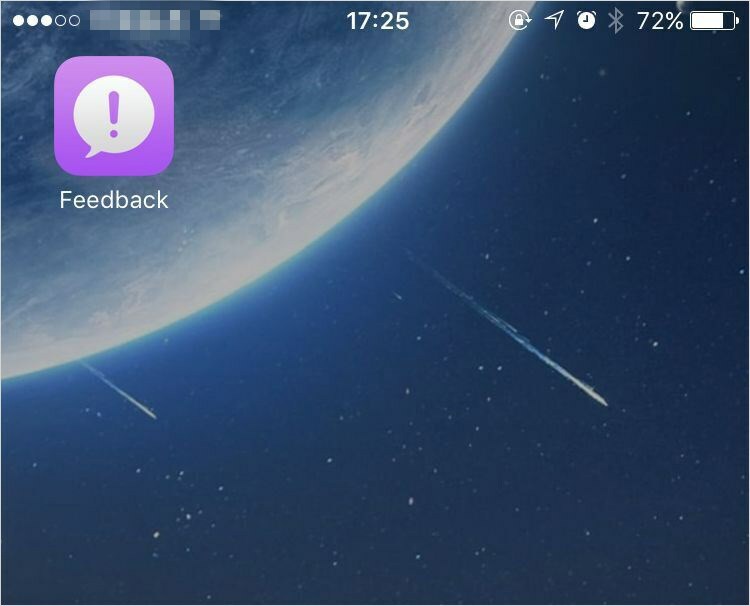 Step 2: Ensure iDevice is unlocked, then click “Send Description File to iDevice”. Step 3: Install it on iDevice. Click“Install" -> enter power-on password. And then just follow the tips to continue your operations. If you can’t view the page below after installing it successfully, please find it in Settings -> General -> Profile -> tvOS 12 Beta Software Profile. This icon can't be deleted, you can hide it in a folder. Step 5: After you successfully installed the description file, iDevice's system won't detect iOS updates anymore, and it won't download the firmware, either. Step 6: If it still prompted to update after successfully installing the description file, please find and delete the corresponding package in Settings -> General -> Storage & iCloud Usage -> Manage Storage. And you need to delete “tvOS 12 Beta software profile” in Settings -> General -> Profile. 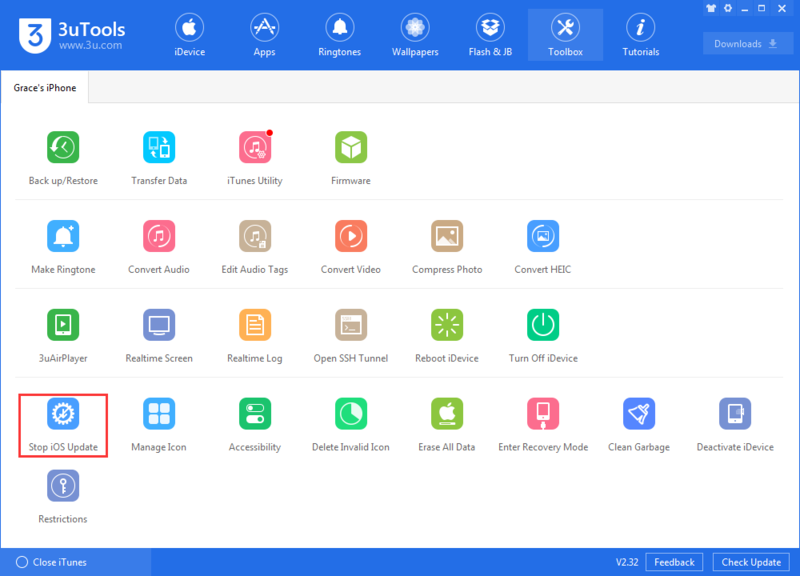 Reboot iDevice and repeat step1 to 3 to install the description file.